B.Sc. 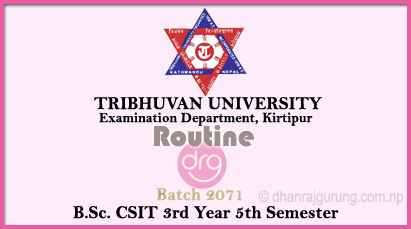 CSIT Routine For Third Year - Fifth Semester Batch 2071 Tribhuvan University [TU]. 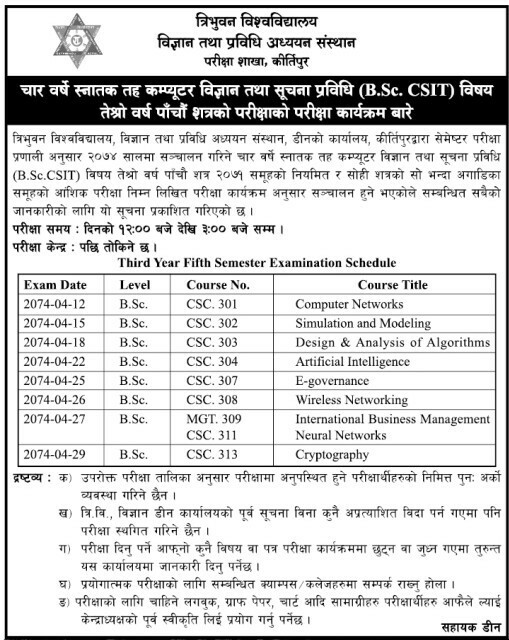 Tribhuvan University [TU], Institute of Science and Technology [CSIT], Office of the Dean, Examination Department, Kirtipur has published the Board Examination schedule of Bachelor of Science in Computer Science and Information Technology (B.Sc CSIT) Third Year 5th Semester of 2071 Batch regular and partial examination of earlier batches. Exam for B.Sc. CSIT 3rd Year 5th Semester of 2071 Batch will start from 12 Shrawan, 2074 [27 July, 2017] and will end on 29 Shrawan, 2074 [13 August, 2017]. The Examination Time :: 12:00 pm to 3:00 pm. Exam Center :: It will be fixed later. See Exam Routine For B.Sc. CSIT First Year Fifth Semester 2071 Batch TU. Should you have any queries/questions regarding the exam routine notice of B.Sc. CSIT 3rd Year 5th Semester of 2071 Batch, then please feel free to CONTACT ME or you may drop your comment in below comment box. 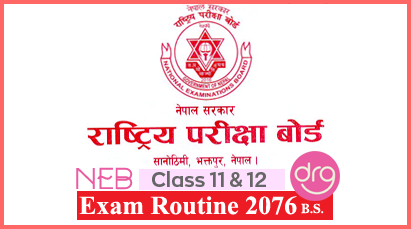 0 Response to "Routine Of BSc CSIT | Third Year | Fifth Semester | Batch 2071 | TU"